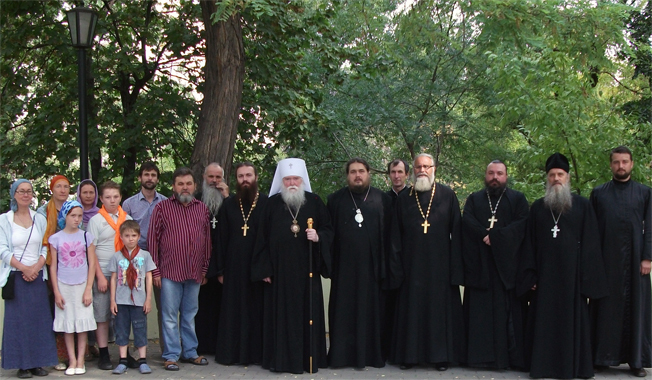 At the annual conference of the Russian Orthodox Church Outside of Russia, “The Way of the ROCOR in the modern world” (Odessa, Ukraine) during the second day of meetings among the participants, there came into discussion the initiative for the adopting of the anathema against ‘sergianism’, which was put to a vote. The decision was supported by the participants of the conference: three priest, a deacon, a nun and lay people. All the votes were fifteen people, including two bishops, who did not participate in the voting. The motivation was the adoption of the resolution of individual initiative, the participants in connection with the delegation of the Council of Bishops of the final decision on the matter to the Synod of Bishops. The text of the anathemas, which were drawn up and posted on the official internet site of ROCOR, were given by Metropolitan Agafangel with a detailed explanation of the principle of the anathema in the Orthodox Church, and the political power which opposes itself to the Church of Christ, to receive any preference. Members voted for the anathema of “Sergianism” unanimously.